Just something I puttered out. The ink version is second (this time round) cause I keep feelin like the sketched versions look better...so yeah. Started out with the blue lines..was initially gonna do the ole stick figure draw a pose thing. Then I noticed what I drew looked a lot like a humans hairline..so I figure why not. And made the human you see in the blue lines. I then grabbed out the red and asked myself how he'd look like as a furry..decided on fox and went with it. The black was then just general cleanup/inking to be honest. 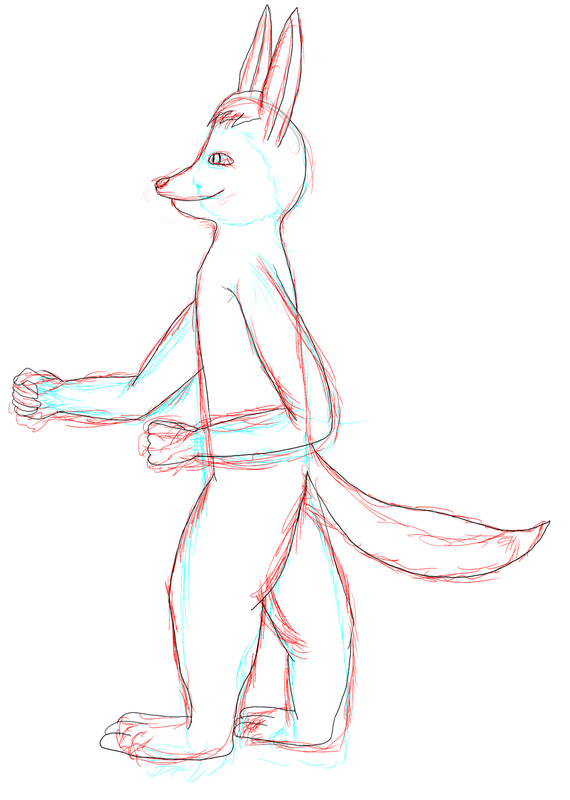 Hands/paws still giving me problems..and the leg proportions are kinda wonkey..but hey he's cute.